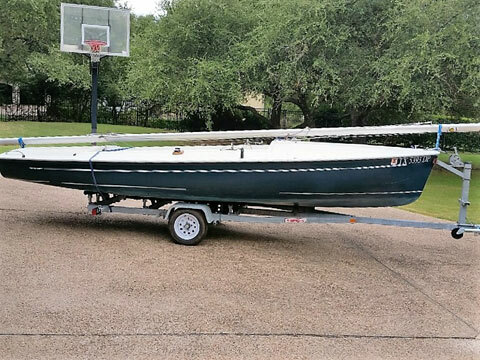 19' centerboard sailing dingy with over 6,000 sold since 1957 and still in production today. There are over 100 active fleets across the US. The Flying Scot has the reputation of being one of the fastest, best built sailboats of its type ever made. 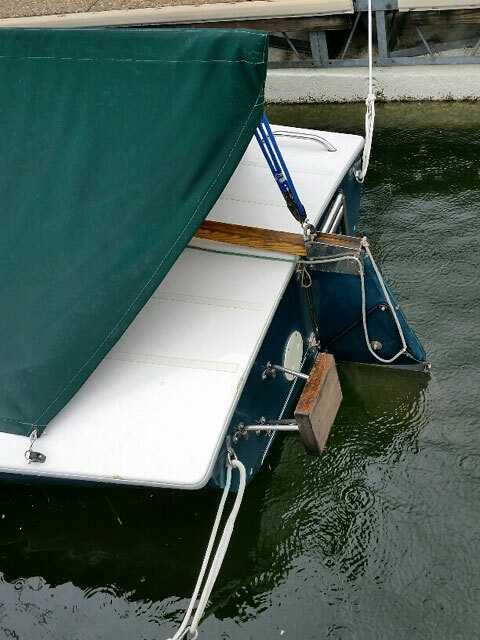 This a fresh water boat that was always dry-sailed and trailer raced. It is in very good and totally sound condition. There are a few cosmetic scratches on the hull but the rest of the boat is in excellent condition. We are selling because of my wife�s knee surgery and it isn�t suitable for our young grandchildren. The boat is currently in a slip on Lake Travis, Austin, TX. Race rigged with trailer. Dark green hull and white deck. 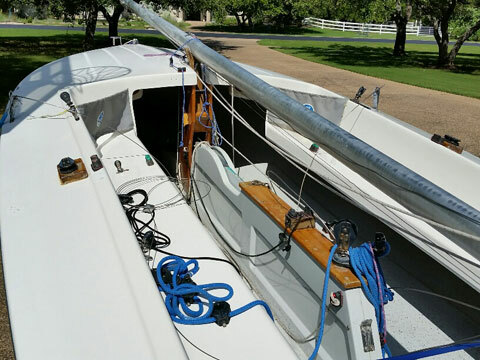 2 Intensity mainsails, one new, rolled in bag, the other Intensity main is near-new. 4 jibs, one new Intensity rolled in bag, one near-new intensity with 2:1 purchase sheets and 2 older Shurr jibs. 3 spinnakers, one new Intensity folded in bag, 2 older spinnakers. 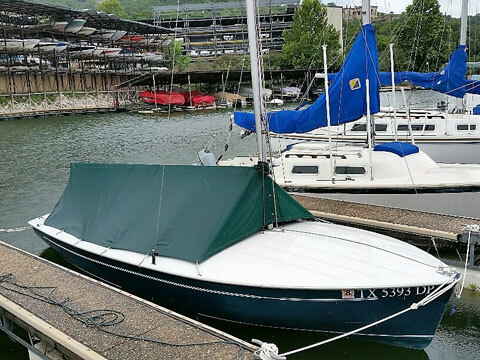 3 older Schurr sail bags, main, jib and spinnaker.